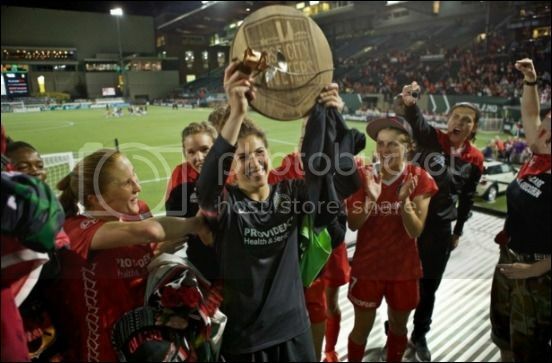 The Thorns will enter their fourth season looking to get back to their 2013 National Women's Soccer League championship form. In many ways, this will be a new-look team, as they deal with the departures of several players, including forward Alex Morgan, defender Steph Catley and several others. Nadine Angerer has retired, but has come back to the Thorns as their goalkeepers coach. The team also will be without defender Rachel Van Hollebeke, who retired at the end of last season to attend medical school. The team still features a strong core. 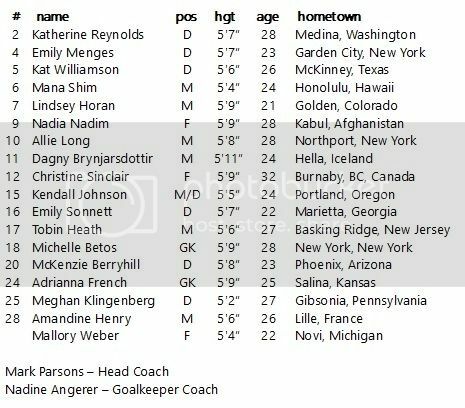 NWSL 2015 goalkeeper of the year Michelle Betos (who also had one of the best single highlights of the year) returns for her first full season as the starter. Midfielders Tobin Heath and Allie Long are back. Joining them are midfielder/defender Kendall Johnson and defender Kat Williamson. Meghan Klingenberg, a defender and midfielder for the United States women's national soccer team, has come to Portland after playing the past two seasons for the Houston Dash. The team also added via trade from the Western New York Flash, forward Mallory Weber, who was a team captain for a Penn St. which captured the national championship in 2015. In 100 career games, she tallied 36 goals and 29 assists. She was named to the 2015 College Cup All-Tournament team, as well as first team All-Big Ten honors in 2015. Cranleigh, England native Mark Parsons has assumed the head coaching duties for the Thorns after serving in the same capacity of the Washington Spirit for the past two-and-a-half years. The Thorns will open the 2016 season at home against the Orlando Pride, which will feature the return of former Thorn Alex Morgan. From there, it's four straight on the road before the schedule evens out. Portland will play each NWSL team twice, home and away, with the exception of geographic rival Seattle, which they play four times; two at home and two away. The Thorns close the season in September with three straight at home before the finale against Sky Blue FC in New Jersey. A key note in the schedule is the league-wide break in early August (the Thorns are off from July 31 through August 26). This was done due to the 2016 Summer Olympics in Rio de Janeiro, Brazil which run August 5-21. Several players from around the league will be playing for their respective teams in the Olympics. The Thorns play their home games at Providence Park, located at 1844 SW Morrison in downtown Portland. Home games are noted below in Bold Green. All games will be available for viewing on thornsfc.com. All times are pacific time and are subject to change.